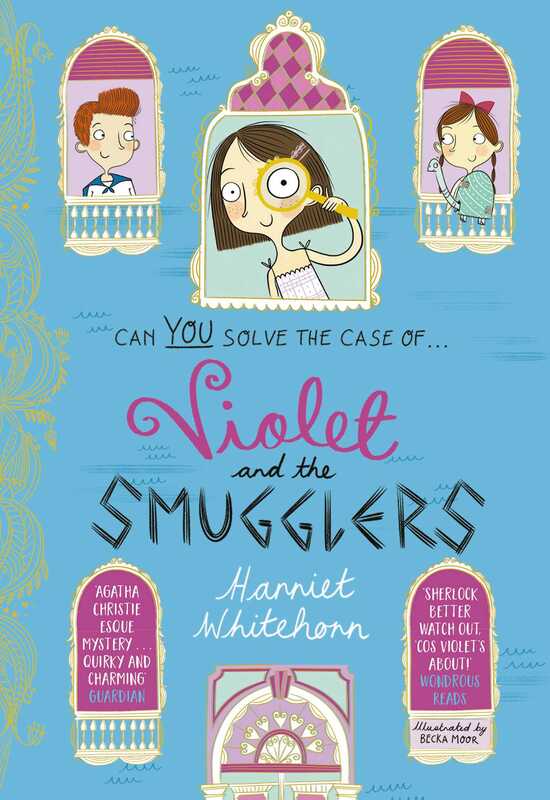 Meet Violet Remy-Robinson, an amateur Sherlock Holmes in the making, in this “Agatha Christie-esque mystery…[that’s] quirky and charming” (The Guardian)—perfect for fans of Chris Riddell and Robin Stevens’s Wells & Wong mysteries. Uncle Johnny has invited Violet and her friends to spend the summer with him on a sailing adventure around Europe and Violet couldn’t be more excited! But when she suspects that the captain of a boat nearby might be up to no good, Violet needs to put her detective skills into action. Could he be the head of an international smuggling ring? Beautifully designed and filled with gorgeous two-color illustrations throughout, everyone is bound to fall in love with Violet and the colorful characters that make up her world. Becka Moor studied illustration in the North of Wales at Glyndwr University. She has since moved back home to Manchester where she works under the strict supervision of two very mischievous cats, doodling away and drinking far too much coffee.